The Association for Culture, Education, and Communication is a non-governmental organization which aims to create understanding, support international cultural exchange, broaden education and create opportunities for the future continuation of mutual communication. Since our inception in 1999, the Association has focused on current social affairs, aiming to enhance culture, support education, and deepen and strengthen communication within Slovakia and internationally. In the field of education, we focus on preparing and applying training programs and communication strategies for socially challenged groups, and above all on programs of training and educating members of the Roma minority in Slovakia. In an unconventional way, by the means of culture and education, we facilitate the creation of new communication networks used both nationally and internationally. Our projects help to embellish existing relationships as well as create new ones, examples of which are the projects we have implemented in New York, Washington D.C., Paris, Brussels, Berlin, Vienna, Prague, Warsaw, Sarajevo, Belgrade, Minsk, and Bratislava. Our activities address a wide range of the international public who often live in high-risk areas and regions. In 2002, ACEC received the Slovak Foreign Ministry award for contributions to the resolution of the Balkan conflict. 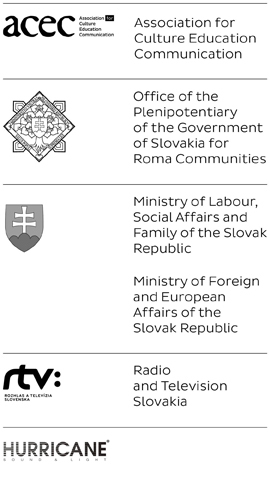 ACEC also implements complex programs focused on specific targets related to Slovak foreign policy. ACEC collaborates with national and international partnership organizations, institutes and NGOs on project implementation.